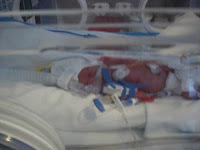 All my first pictures of Joseph were taken from outside a plastic box. Whilst I was well aware of the clinical indications of using an incubator, to keep him warm, protected and safe, I hated it. It was cold and hard. It looked like a fish tank. I felt like it was designed to keep me out. It made me sad, that I had failed my baby and this was the best we could do. Nothing can prepare you for the acute separation from your baby, and that's what still hurts me most, 3 years on. Being apart, and my baby in a box. Over the weekend my little Prem Posse on Facebook shared this article from the Daily Mail. We were all sharing and commenting about how we wish our babies had had a Baby Bloom in NICU. The penny dropped for me as I realised Baby Bloom followed me on Twitter! I knew they designed pretty incubators but didn't know much more than that, I set about doing some reading and research. So what's the fuss about. Surely all incubators are equal and anything else is just window dressing? What you notice first, after the absolutely beautiful design of the incubator, is that it has a free standing base. This means it can go over a bed or wheelchair. I remember perching perilously at the edge of a wheelchair trying to get a glimpse of my tiny baby. But this is not just for parent comfort and to facilitate bonding. Regular readers will recall that for the first 24 days of life Joseph was very poorly. In the incubator all sorts of medical procedures occur. This incubator allows doctors to sit, and get close to the baby, and prevent back pain. It's fully height adjustable. 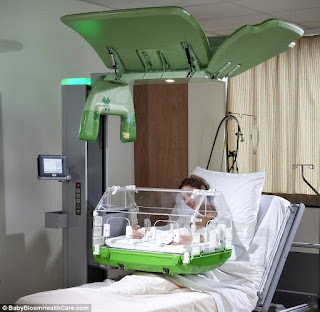 Apart from all these features, the nifty covers come down over the incubator and protect the baby from light and sound. No more daggy incubator covers that need washing and replacing, and are a potential infection risk. This also provides sound insulation for the baby. Exposure to light and sound is potentially damaging for tiny babies who still should be inside the womb. The incubator has a light sensitive videocamera so nurses can check on the baby without disturbing their sleep. Parents can view the video camera remotely too. How wonderful if you can't be with your baby all the time? In my Kangaroo Care piece yesterday I talked about Family Centred Care, and I am so pleased, as a parent to see this innovation. Family Centred Care is clearly at the heart of what Baby Bloom Healthcare do as a company. They also have something else wonderful that I will share with you at a later date! 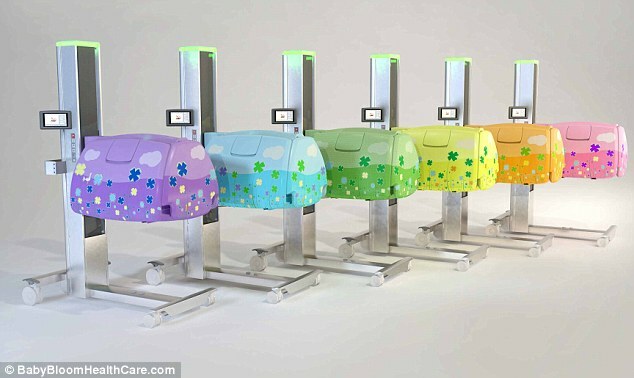 I can only hope that hospitals are forward thinking enough in the UK to embrace this new technology. I think I'm in love with an incubator! These look great,definite incubator envy here.the units would look so much.friendlier with these lovely colours. The idea of a video camera is great for nurses when babies are to sleep and for mummies to watch remotely. The covers being soundproof are great, gemma struggled to sleep in nicu when got close to term as so many distractions! Wow, they look amazing. Love the designs too. Only concern is that this photo opportunity wouldn't have worked for us in the early days. K was attached to pumps, ventilator, etc. It was hard enough getting her out of the normal incubator!